We are passionate about partnering with good people and creating experiences that elevate and empower brands. A website is a potential customer’s first introduction to a company, its products or services. That simple fact makes it critical for Google Analytics to be configured from inception to the measure the lifecycle of your Services to ensure you have full visibility of your customers journey. Think Digital’s passionate team of consultants stands ready to help clients unlock the full potential of the internet by providing effective search engine optimization services across the Globe .We generate new traffic streams to your site through optimised Paid Search, Paid Social and Display Ads campaigns. Driving traffic to a website isn’t enough to transform visitors into paying customers or to entice them to take other desired actions. To achieve the goals, a strong Conversion Optimization plan needs to be in place to enable a robust Search Engine Optimization (SEO) strategy to really pay off. Think Digital has all the skills you need in-house. Customers now demand instant digital gratification.Our On-Site training, we will evaluate your companies key to success. We advise businesses on how to use the web and digital space to achieve core, business goals. Our strategic consulting includes advisement, using digital marketing, websites, mobile, branding, design, user-experience (UX), analytics, reporting, workflow and ROI measurement. The positioning of your brand is the key to digital marketing success so and by creating and combining logo, copy type, messaging and photography we position brands as they should be perceived. We develop content strategies that support today’s need to deliver relevance, interaction and an enhanced brand experience. Think Digital’s training & social selling courses define a framework of knowledge, skill, and competency required to meet the current and future demands of the Digital Economy. 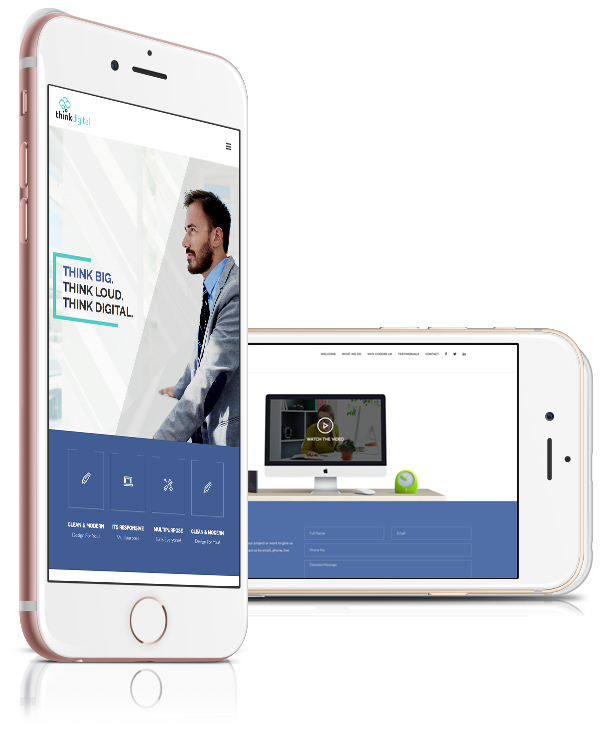 Think Digital are team of people with multi-faceted backgrounds in print and web design, and web and mobile development. If you can dream it up, we can help you make your dreams a reality. During the European Technology Summit, I worked closely with Barry O’Callaghan of Think Digital who was the driving force behind the registration process & Social Media communications throughout the 6-month campaign. This level of professionalism and creativity Think Digital brought to the campaign far exceeded our expectations and the event was an unmitigated success. The amount of work they got done made me believe they had more hours in their day than most others I’ve met in the digital industry. I look forward to working with Think Digital again in the near future. Social Media is not called Earned Media for anything, it requires continual commitment and expertise to ensure timely an topical content reaches the intended audience in an authentic way. Thie team at Think Digital inspired the team here at Tealium to take social media to the next level through a diligent, consistent approach to ensuring our annual customer conference was promoted across LinkedIn and Twitter. This elevated our event and the results more than impressive. Think Digital bring an amazing level of craft and creativity to their on-site workshops, from early thinking to deliverables its one of the most enjoyable partnerships we’ve ever had. They have shown us how to use Social Media to our advantage reaching a wider audience than we ever inagined, and through further development, withthe Think Digital team we have learned never to start a campaign without a digital marketing plan and perdonally I cant thank them enough or all their assistance.